This black-owned brand has apparel and accessories you won't find anywhere else. Whether you wear a full face of makeup or nothing at all, a tiny bag that carries those everyday essentials is a must. And if you live by the “less is more” mantra, that same pouch is also your wallet, purse and on-the-go emergency kit. When you’re using something so frequently, a poppin’ design makes toting it more bearable. The impending holiday season is when a lot of us decide to replace our old, beat up bags with something new, but of course, the number of options out there can make the shopping experience downright stressful. The Brooklyn-based Junkprints brand is where your search begins and ends. Not only is this New York City gem black-owned; it also includes a pouch that even non-makeup wearers can appreciate. 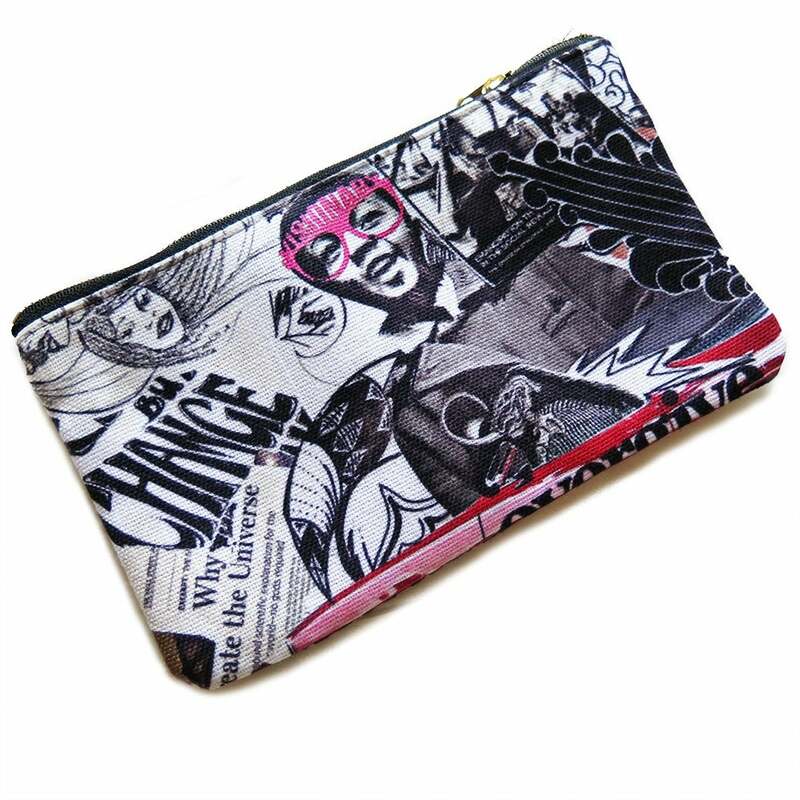 The whimsical Junkprints “Overgive” pouch is for the woman who can’t live without her makeup essentials. $28, junkprints.com. 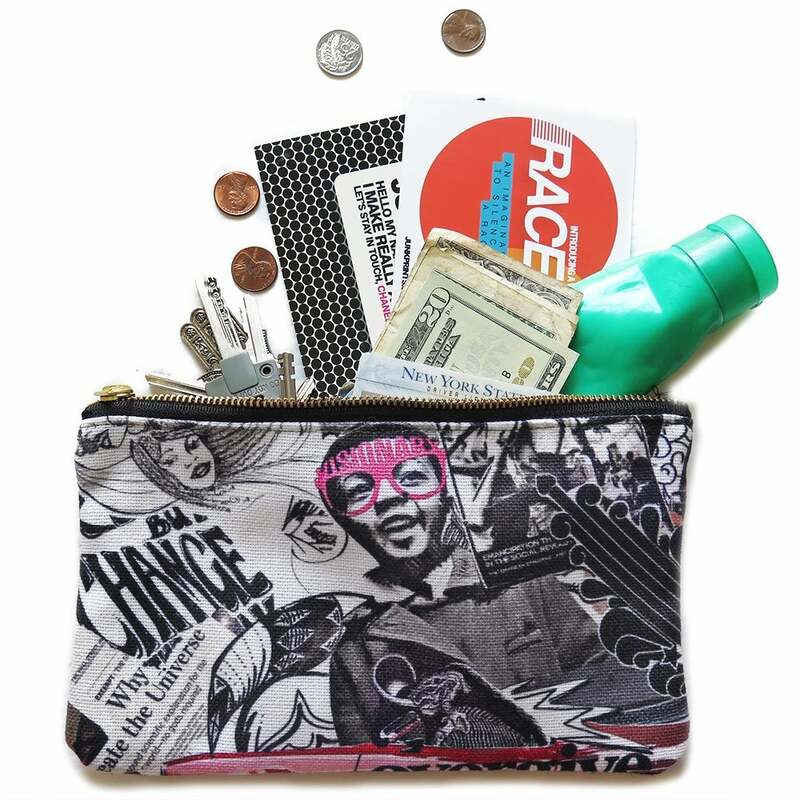 The “Overgive” pouch ($28, store.junkprints.com) has a zipper closure and is covered in black and white graphic print. Phrases like “Visionary,” “Create The Universe,” and “Change” are also spotted throughout the gritty design; we always love a little motivation with our fashion! Seriously, if you want to treat a sister, cousin, best friend or yourself to a unique holiday gift that doesn’t empty your bank account, put this at the top of your list. And be sure to check out the entire Junkprints site for an assortment of unique apparel, accessories and art.